In this day and age, when more and more people are grocery shopping at dollar stores and cutting coupons to make ends meet, every cent of savings can make a difference. If you’re interested in saving more money on your monthly energy bills, upgrading your home with solar energy is a great option! The investment in solar energy will pay for itself over time, and thanks to the many rebates and tax incentives available, that initial investment is now more affordable than it has ever been. Plus, when you choose to work with the professionals at Sorensen Roofing & Exteriors for your new solar energy system, you’ll be able to take advantage of 100-percent financing through HFS Financial. Are you ready to experience the benefits of going solar? At Sorensen Roofing & Exteriors, we use innovative techniques and the very best materials to provide you with a solar energy system you’ll love. When most people think of making the switch to solar energy, they think of how it protects the environment and helps to cut down on their energy bills. But, did you know that those are just a couple of the many benefits of choosing to use solar energy in your home? Another big benefit of choosing solar energy is that it will help to insulate you against the rising and falling costs of oil, natural gas and other forms of energy. With solar, you’ll always enjoy low-cost energy, regardless of what the market is doing. Another huge benefit of installing solar panels onto your home is that they can increase its value and make it sell faster, should you decide to put it on the market someday. 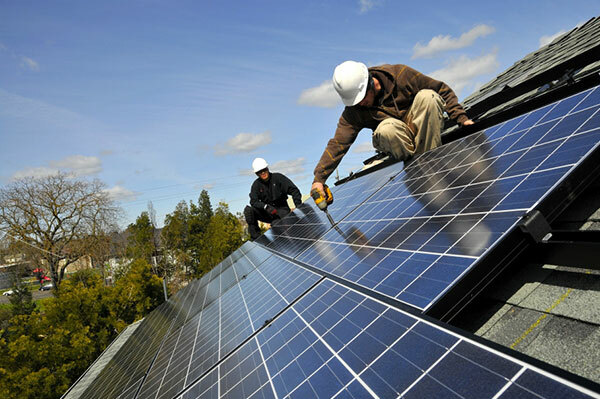 Solar energy is a great all-around investment, but it’s important to choose the right contractor for the job. For all of your solar energy needs in Colorado Springs, turn to Sorensen Roofing & Exteriors. Call us at (970) 251-0911 and get your free estimate today.